Glitsa floor finishes, manufactured by the Rudd Company, are a Swedish blend available in many different applications, including water-based finishes. Glitsa floor finishes can help you protect your wood floors and keep them looking new for years to come. 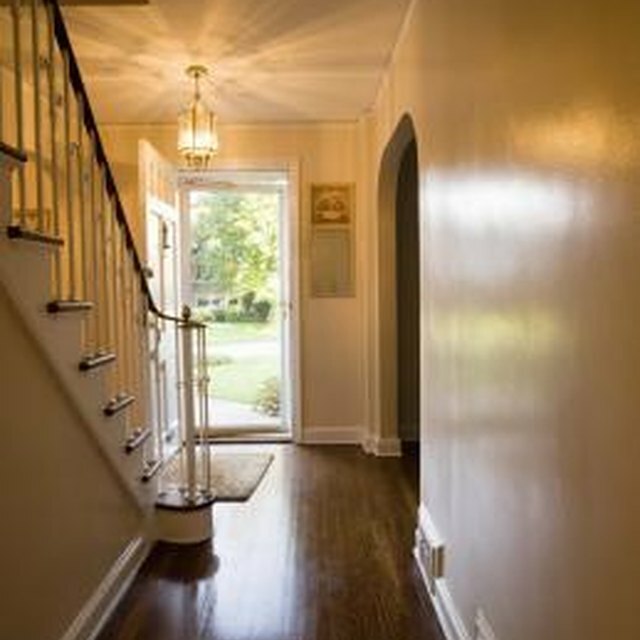 Although Glitsa floor finishes are designed for contractor application, you can easily coat your own floors with Glitsa finish, saving you a substantial amount of money while still achieving the desired results. Sweep and mop the floor to start from a clean surface. This prevents applying finish over any dirt or debris and damaging the floor. Select a rear corner to start in to avoid working yourself up against a wall. Pour a one-foot diameter circle of Glitsa finish approximately six inches from the wall. Push a large floor roller into the puddle until the roller is thoroughly covered. Use the roller to apply the finish to the floor, working along the wall to the corner. Run a thin line of finish six inches from the wall where you left off all the way to the opposite corner. Use the roller to spread the finish from the line to the wall, and spread it out as far from the wall as possible to even the coat. Cover the remaining floor in three- to four-foot sections, applying the Glitsa finish in small puddles and spreading it evenly with the roller. Keep the coat as thin and even as possible for the best finish results. Apply a second coat if desired. Allow the finish to dry completely before walking on the floor. Check the container for your specific Glitsa product for the recommended drying time, which is typically 6-12 hours. Avoid placing furniture back on the floor until the finish has had 72 hours to cure.